She's daring, determined -- and on her Deadly Nadder, Stormfly, she's one of the fastest dragon riders in the sky! 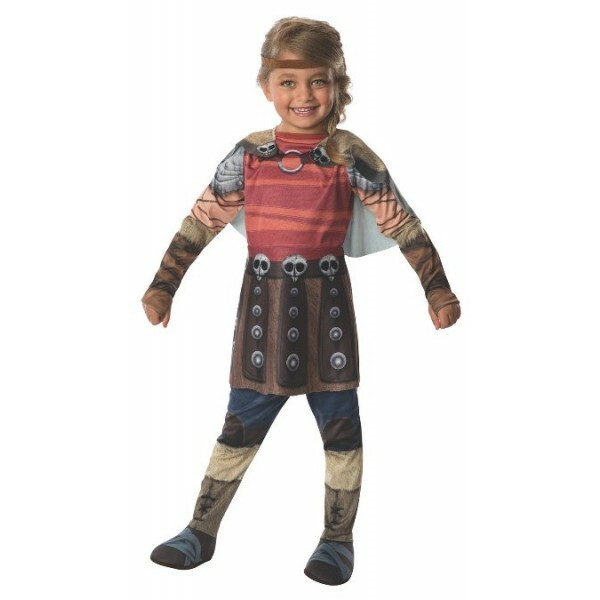 This great costume of Astrid from the How To Train Your Dragon movies is sure to be a hit with your dragon-loving Mighty Girl. Available in toddler and children's sizes. 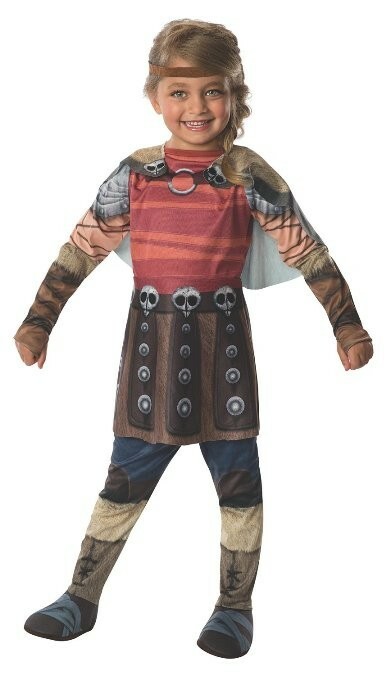 Costume includes dress with detachable cape and pants with boot tops.